Don't miss this opportunity to get into Foxboro! 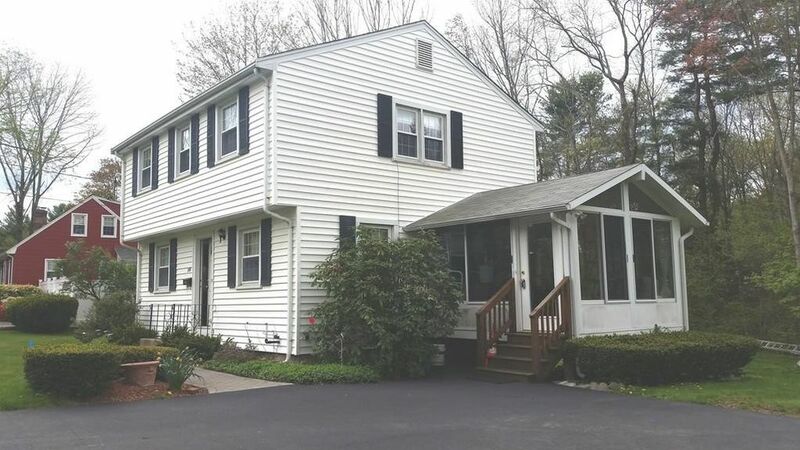 This charming colonial is conveniently located to EVERYTHING! This home offers 3 bedrooms, two with walk in closets. There is hardwood throughout the house (living room and stairs are currently carpeted). Enjoy a crackling fire in the front to back living room. Or enjoy the perennial gardens while lounging on your three season porch. This house has been well maintained and well cared for. This is the best value in Foxboro! Directions: Route 1 to North Street.